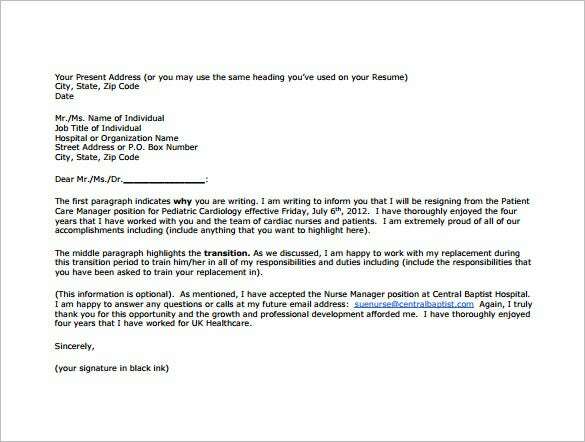 Nursing Resignation Letter Template – 10+ Free Word, Excel, PDF Format Download! Nurses are often a hardworking lot, but at times, their current working conditions might force them to quite their current job, and pursue a different profession. If you are a nurse working in an unfriendly environment, it might just be the right to quit. It is hard to excel in a job that doesn’t make you happy. 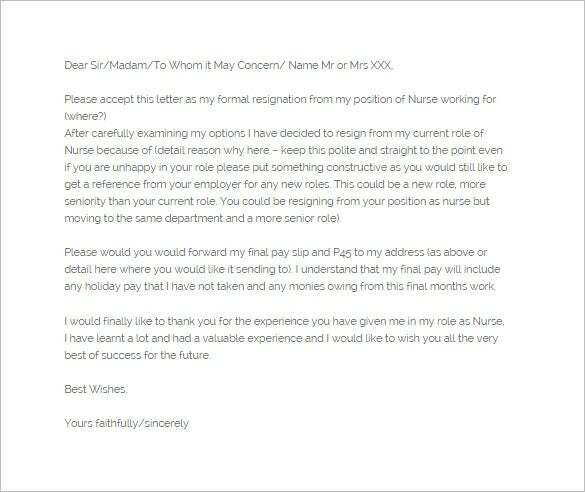 A nursing resignation letter can hook you off that disgusting job. 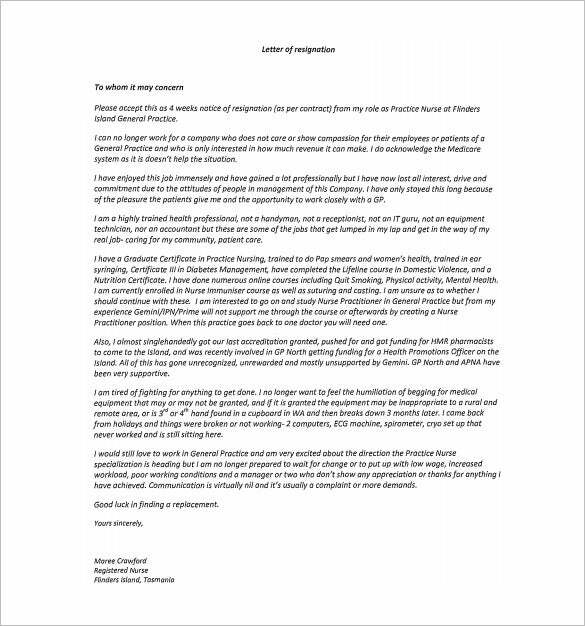 Sorry, but if it isn’t disgusting you wouldn’t have thought of a Immediate Resignation Letter Templates word, would you? 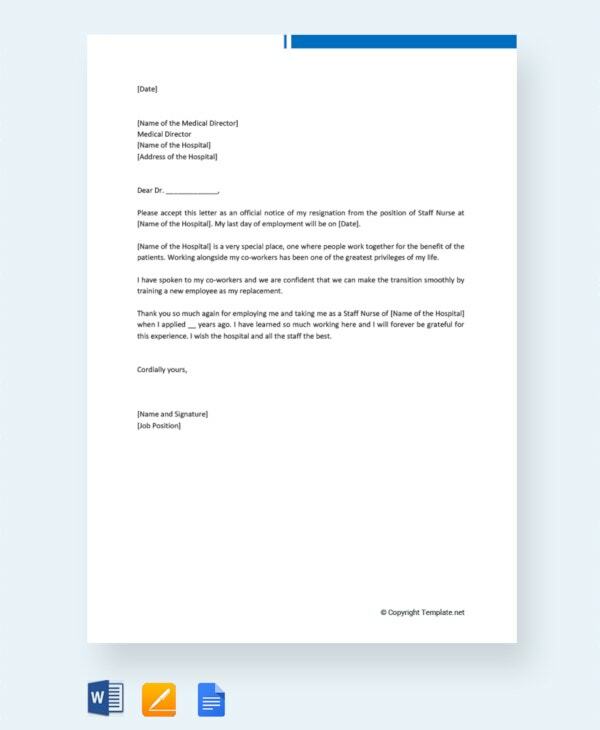 The 2 week notice nursing resignation letter template is a simple and easy to use resignation letter template that explains the reason of resignation vividly to the clinic or the hospital. 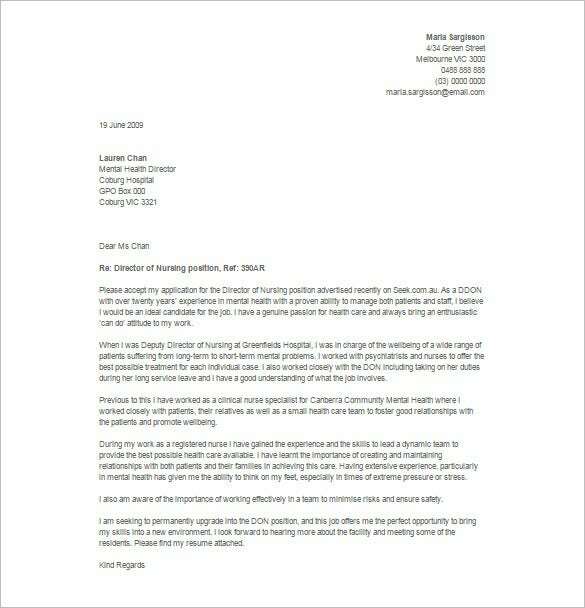 ukhealthcare.uky.edu | The cardiology nursing resignation letter template in PDF is an informative resignation letter template that can be used by nurses who are working with cardiologists. 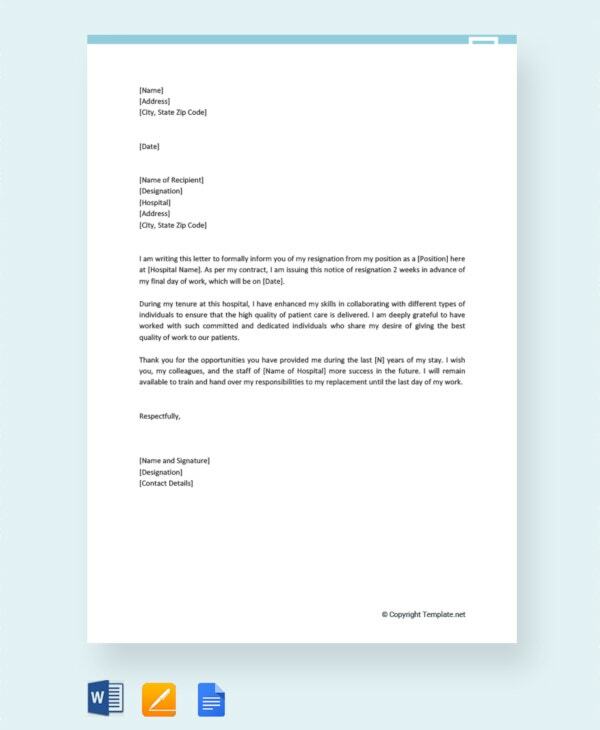 The template explains what each paragraph contains in the letter. 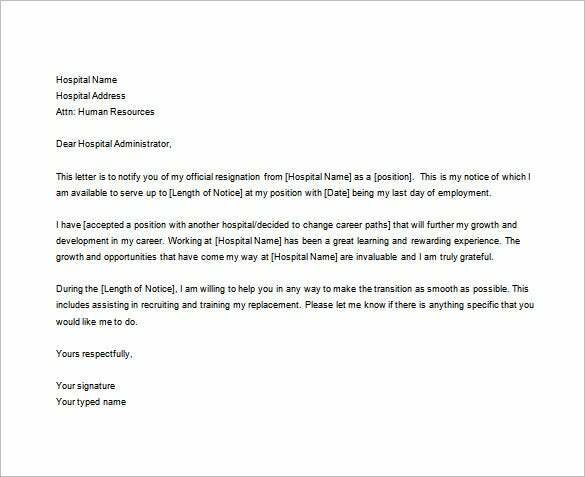 The relocation nursing resignation letter template is a simple resignation letter that does not use any format. 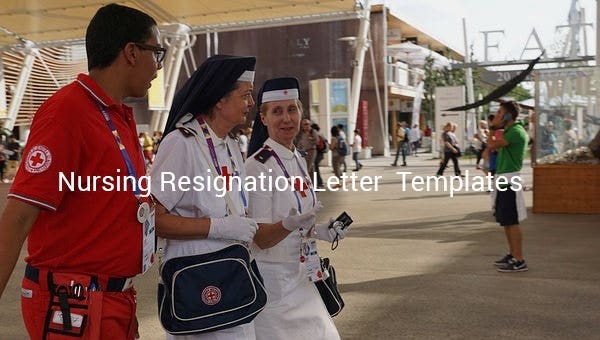 The resignation letter template simply states the reason which has made the nurse to resign. 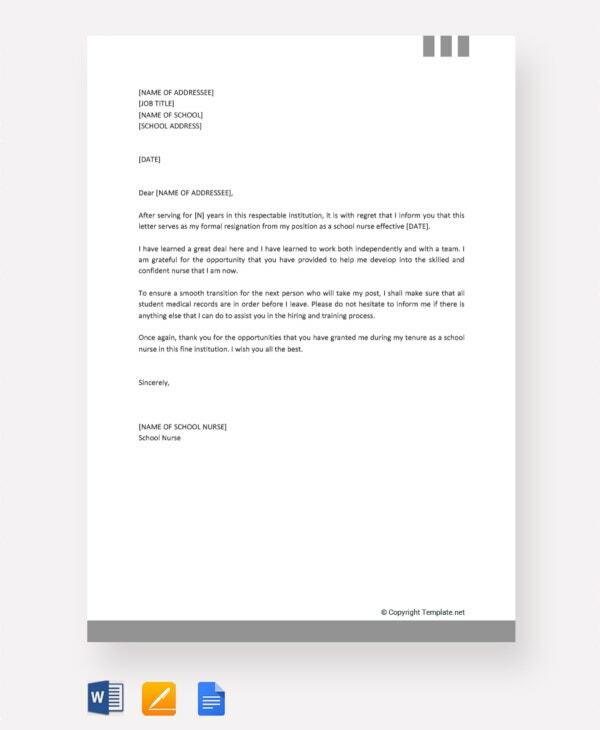 The director of nursing resignation letter template is a resignation letter template used by nurses to address the director of nurses of a hospital. 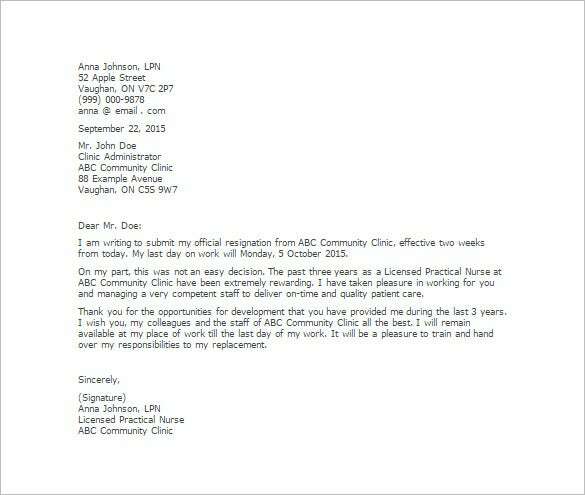 It states the different reason which has led the nurse to resign. 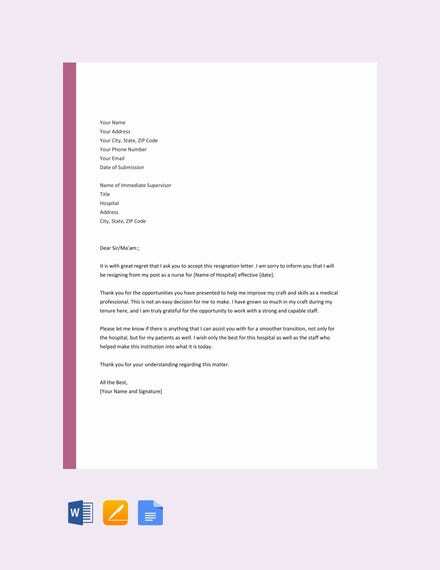 wikidownload.com | The formal nursing resignation letter template is a normal resignation letter template that is pre created. Just add the different important information and the resignation letter is ready for use. 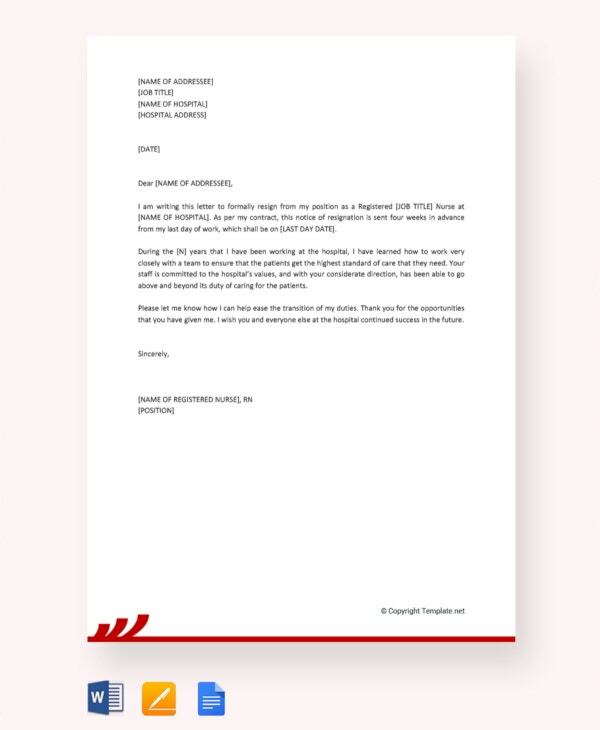 fwa.gov.au | The 4 week notice nursing resignation letter template in PDF is a comprehensive resignation letter template that explains the reason of resignation in details and starts the 4 week notice period before leaving the job.